If you’ve heard of Ebates and want to know how the website works or have wondered “is Ebates legit” this review will explain how the site works, how it makes money, and how to make the most of the cash back you can earn. Ebates is an online shopping portal that offers exclusive cash back offers to customers that use the website. Unlike most online shopping websites, Ebates does not actually produce or sell any of its own products. 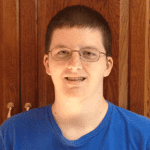 Instead, it is a directory of other online stores that produce and sell products. Ebates is an affiliate marketing website. Ebates has partnered with thousands of retailers and receives a commission anytime it refers customers to those sites. Ebates takes the money it earns from advertising those sites and then passes it on to you. Ebates’ cash back offers have helped it become extremely popular. Customers spent more than $2.2 billion through Ebates in 2013, and that number has only gone up since as consumers look for more ways to stretch their dollar. Using Ebates is incredibly simple. You can sign up for an account using your e-mail address, Facebook, or Google account. Once you’ve signed up, you can go to the Ebates website to see a list of the companies that Ebates has partnered with. Some of Ebates’ partners include WalMart, eBay, Amazon, and Kohl’s. When you find the store you want to shop at, click the “Shop Now” button on Ebates’ website. It will automatically direct you to the website for that store. All you have to do once you’re at the store’s website is shop like normal. You’ll automatically be earning the cash back for any purchase you make. One thing to be careful of is making sure that your purchase is eligible for the cash back. Some stores, such as Amazon, only offer cash back for purchases in specific departments, so make sure that your purchase qualifies and that you click the correct “Shop Now” button. You won’t see the cash back immediately, meaning that your purchase price won’t be any different than usual. Once you place your purchase, the seller will send your purchase information to Ebates, who will add it to your cash back balance. Make sure that you go through Ebates before going to the store’s website, otherwise, your purchases won’t generate any cash back. If you shop at the same website a lot, you’ll want to bookmark the Ebates page for that site since you’ll need to visit Ebates every time you want to shop. Ebates also works for purchases that you make in person. If you log into your Ebates account you’ll see an option for “In-Store Cashback.” To activate the offer, you need to enter the credit card information for the card you plan to use at the store. You then need to click the button that says “Link Offer.” Then, you can go shop at the store normally. Like with online shopping, if you do not click the Link Offer button on the Ebates website, any purchase you make will not generate cash back, so don’t forget to do this! While you’re in the store, you can take advantage of the Ebates mobile app. 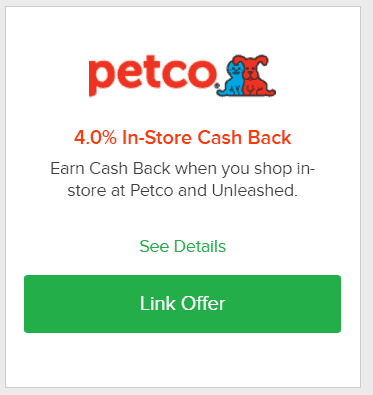 If you forgot to link an in-store cash back offer before heading out, you can use the app to link the deal to your card. The application also includes price comparison tools and a deals board, making it easy to get the most bang for your buck. The third, and easiest way, to take advantage of Ebates is with the Ebates Cash Back Button extension for your web browser. 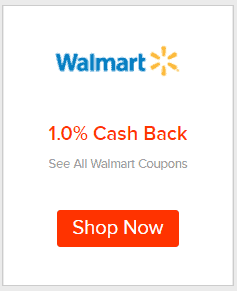 Once you’ve installed the extension, a button will appear on any website that offers Ebates cash back. All you have to do is click the button before you start shopping. That saves you the effort of going to the Ebates website first. The Ebates Cash Back Button also automatically searches for and applies coupons when you check out, adding even more savings. Ebates pays out cash back balances every three months. You can choose whether to receive your “Big Fat Check” as a physical check in the mail, through PayPal, or as a donation to the charity of your choice. Ebates only pays balances that exceed $5. If you’ve earned $5 or less, your balance will roll over into the next three-month period, with no expiration. Up to now, it sounds like Ebates is all about giving money away, so there must be some sort of cost to use it. In fact, Ebates is completely free for you to use. There are no sign-up or subscription fees. Instead, Ebates makes money from the stores that are featured on its website. For example, if Ebates offers you 10% cashback on all your purchases from New Balance, Ebates might get a 15% cut of your purchase in exchange for directing your business to New Balance. In effect, New Balance pays Ebates to advertise its website and Ebates passes some of that money on to you. Some of the companies that Ebates has partnered with like Dell and Samsung sell expensive, high-tech products. If Ebates can make even a few percent on each purchase they direct to those companies, it can generate a lot of revenue. More than enough to justify passing some on to its users. Since Ebates makes its money through affiliate marketing rather than charging sign-up or subscription fees you don’t have to worry about it being a scam. Ebates has been around since 1998 and millions of customers have gotten cash back from the company, so you can feel confident that Ebates is no scam. Given that Ebates is completely free to use and that all you have to do to take advantage of it is make it your first stop for online shopping, Ebates is more than worth it. You can earn as much as 20% back on some purchases, so you should take advantage of it whenever you want to buy something online. You can get started with Ebates right now by clicking here. In the end, if you buy a lot of things online, and you are religious about shopping through Ebates, then you can really earn some cash back and make it worth your while. Just so we’re clear, people can’t make a living off Ebates and shouldn’t buy things they don’t want on the site. Think of Ebates as a way to take home some side money. To optimize your experience on Ebates, it’s best to stay organized and not shop unnecessarily just for the sake of getting cash back. The only thing that shouldn’t escape your mind is to order only those items that you normally buy, even if there were no incentives offered for buying those. If you are a regular online shopper, it just might make perfect sense for you to use Ebates.